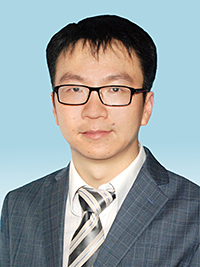 Dr Huang received his Bachelor of Science degree from the College of Biological Sciences at China Agricultural University in Beijing. After graduation in 2003, he did a short academic visit at Centre for Ecology and Hydrology-Oxford in UK before pursuing his PhD with Prof. Sir David Baulcombe at the Sainsbury Laboratory, John Innes Centre in UK. He obtained his PhD which was registered at University of East Anglia in 2009. He then did his postdoctoral training with Prof. Judy Lieberman at Boston Children’s Hospital and Harvard Medical School in USA before joining the faculty of the Department of Biomedical Sciences at CityU in Aug, 2014.